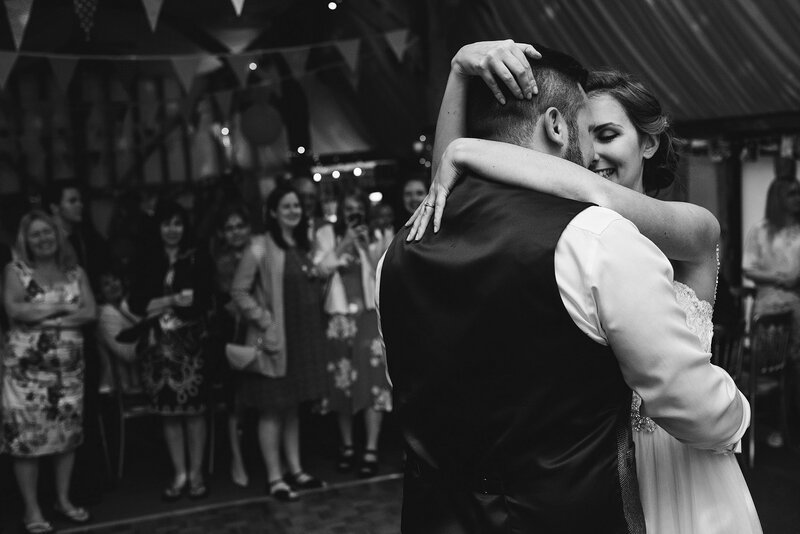 I don’t know why but normally the “traditional” moments of the day, the first kiss, the cake cut, the first dance rarely produce the moments that resonate with me afterwards. Maybe its the pressure to do something amazing? Maybe its the feeling that all the eyes on the room are on them? Who knows, but I see loads of couples kind of shuffle through these events kind of bashfully. So to see a couple completely in a world of their own with a hundred people gazing onwards without a care in the world is an amazing sight, and an even better thing to photograph. We’ve been lucky enough to shoot at South Farm a few times now and every time its seem to produce wonderful weddings. South Farm Wedding Photography is always something we look forward to.